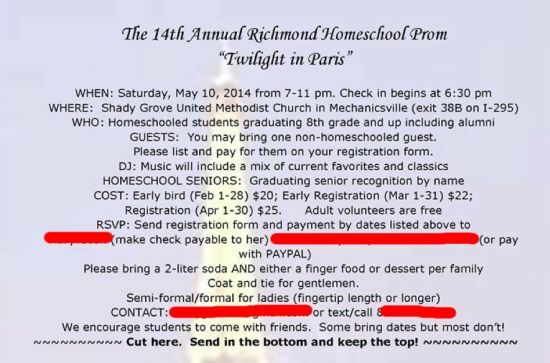 Even homeschool teen girls want to have the experience of a prom. 17 yr-old Clare was hoping to have just that, but instead suffered a humiliating night all because of her dress. 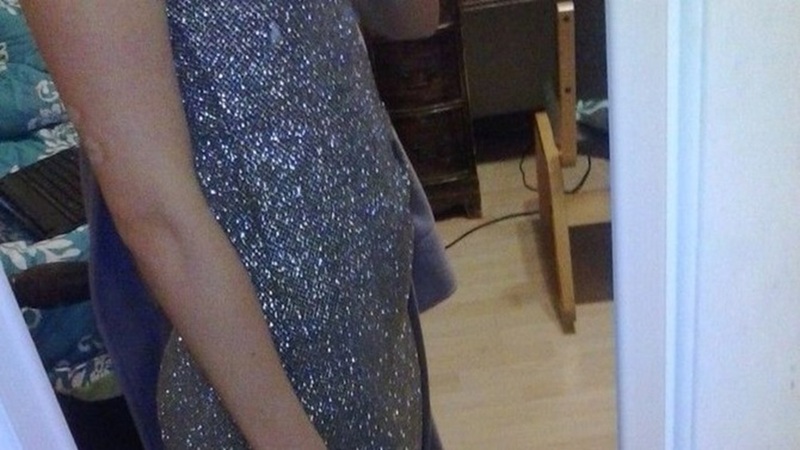 But upon arriving at the prom, she was approached by a chaperone who said that her dress was too short. Upon demonstrating that her dress was finger length, she was allowed to proceed. Clare later laughed because she observed that on the ballroom floor, she was surrounded by girls with dresses much shorter than her own. She joined her group of friends and they all laughed that Clare had been singled out, commenting on how in years past they’ve all seen dresses even shorter with no one getting ‘a talking to’. 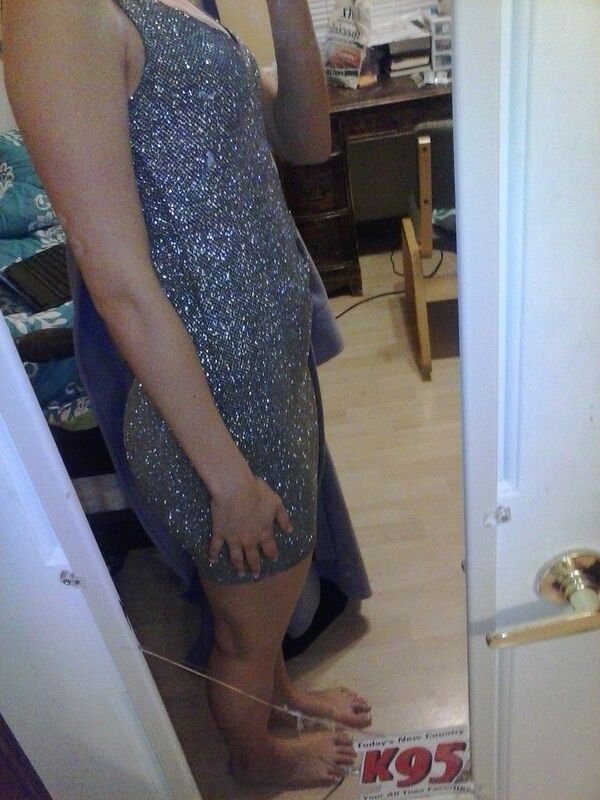 Here is the entire dress… what do you think? After only a short time with her friends, Clare says she was approached by the same woman as before and told to step outside. When they got outside, the woman told her ‘the dads had complained that she was dancing inappropriately and that her dress was too short’. Clare was sickened by the thought and pointed out that she wasn’t even dancing. She repeated herself in saying that her dress was long enough, but the adviser just didn’t listen. Eventually, Clare didn’t win out and she and her friends were asked to leave the dance. The adviser said they would all get refunds, but only Clare was reimbursed. “I was told that the way I dressed and moved my body was causing men to think inappropriately about me, implying that it is my responsibility to control other people’s thoughts and drives,” said Claire. *I was told that the way I dressed and moved my body was causing men to think inappropriately about me, implying that it is my responsibility to control other people’s thoughts and drives. *I was talked to disrespectfully, ganged up on and treated as less then a person by people in authority, and when I requested to have one of my peers present to validate later what was said in this “meeting” I was denied that right and my friends were threatened for sticking up for me. *I felt violated by the sheer number of male parents that were assigned to do nothing for five hours other then watch girls in short dresses and heels dance to upbeat music. I think that it is sick and wrong that they assigned them to sit on a balcony above us and look down on us and single us out for our clothes or dancing. *I never signed any documentation agreeing to adhere to any sort of dress code, and the dress code that was verbally communicated to me was followed to the letter, and yet I was still kicked out. *I was informed by more then one friend who stayed at the prom throughout the course of the evening that there was some truly dirty dancing, and that there were several couples making out and grinding on the dance floor, and yet out of a group of 500 people, only one person, (me) got thrown out for inappropriate dancing. Clare made the right move speaking out. 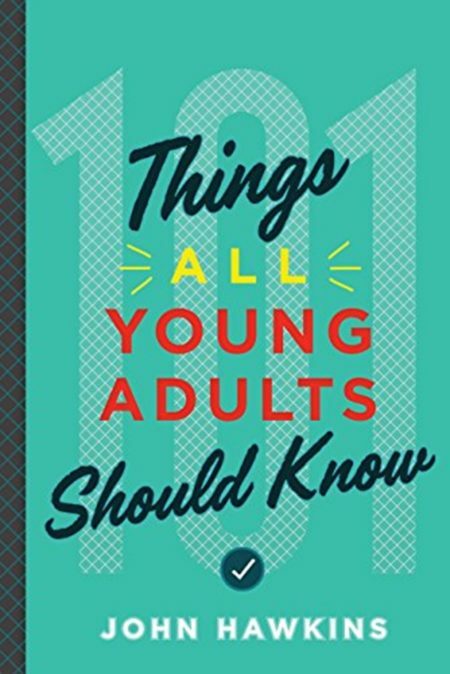 According to John Hawkins’ New book ‘101 Things All Young Adults Should Know’, he teaches in chapter 16 of the book, ‘Be nice until it’s time to not be nice’. This was definitely a time to NOT be nice.